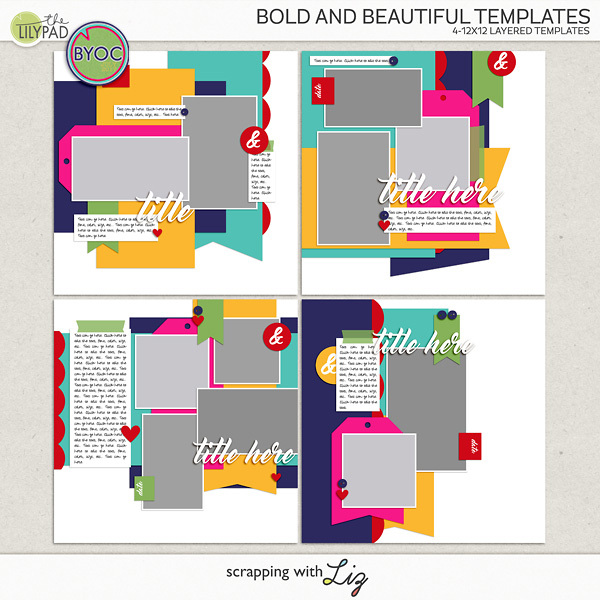 Liz has two new template packs and some coordinating word-art. It's all part of the July Build Your Own Collab. All of these coordinating pieces from the designers have a minimum 20% discount, and the more you buy, the better discount you get. 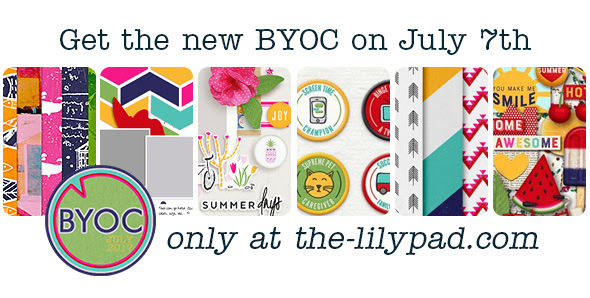 Shop the BYOC through July 9, 2017. 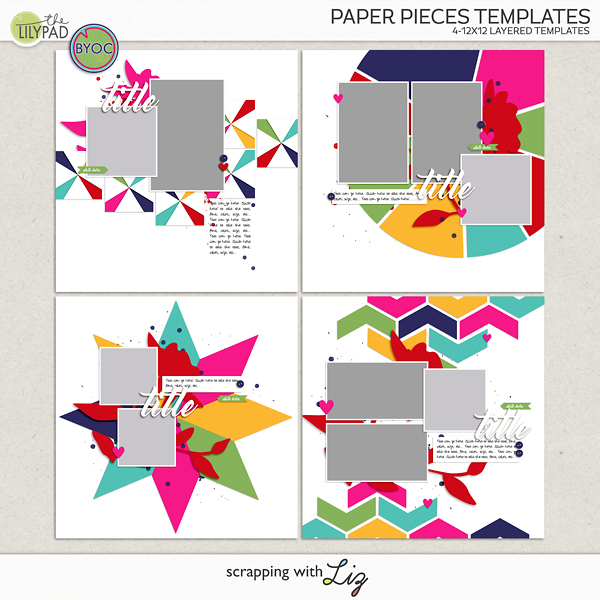 Paper Pieces Templates have geometric shapes in the background, for some really fun paper play. Bold and Beautiful Templates have some nice big overlapping paper pieces in the background, with angled shapes and scallops. 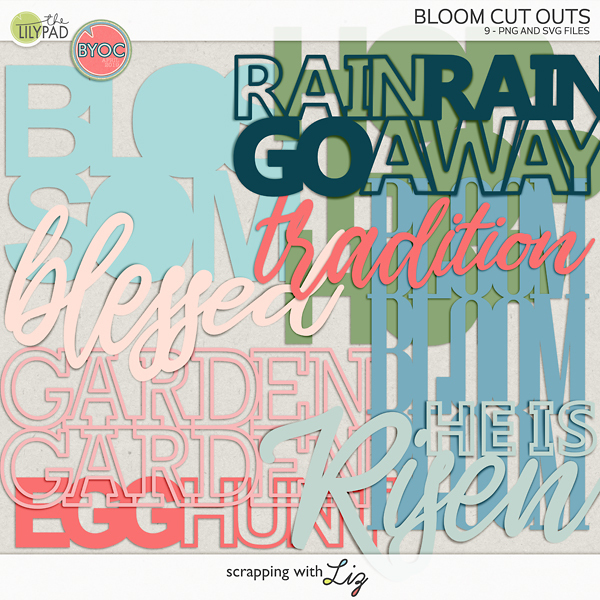 Bold and Beautiful Cut Outs has strong title words in a mix of solid, outline, and cut-out styles. 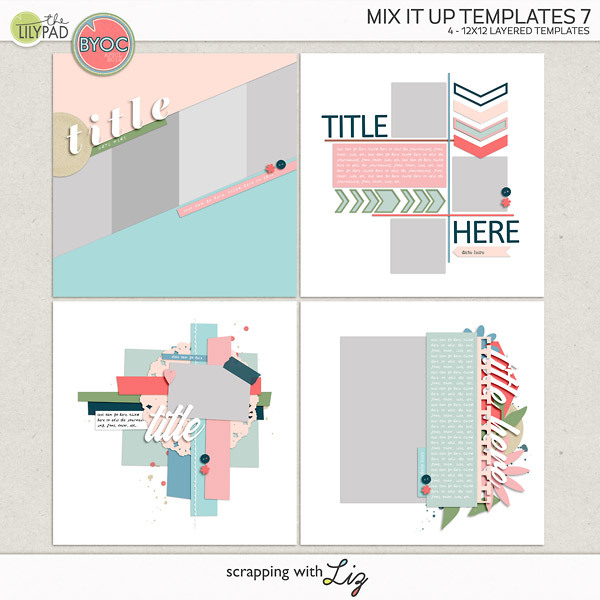 Jenn flipped a template and made it a single photo design using Bold and Beautiful Templates. 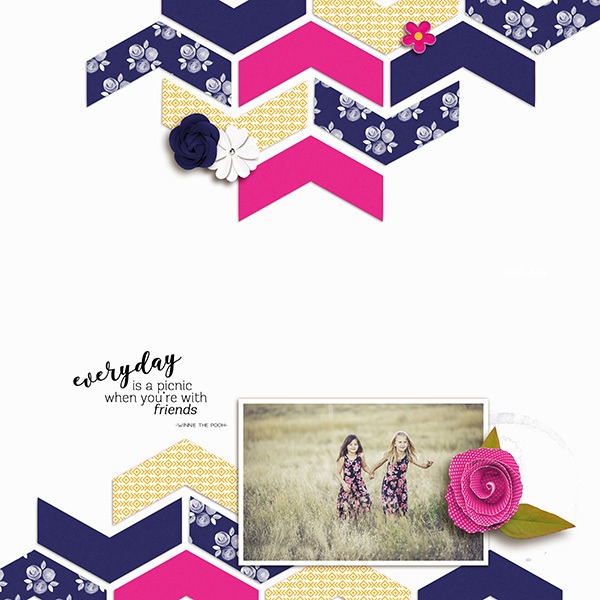 A nice, crisp page by Susanne using Paper Pieces Templates. 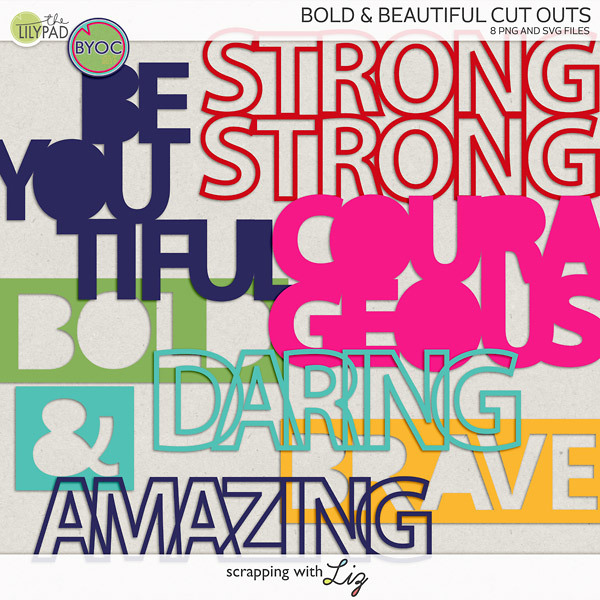 A gorgeous, flowing page by Kayla featuring Bold and Beautiful Cut Outs.